‘Head Over Heels About Gymnastics’ is the gymnastics app that provides step-by-step instructions and top tips explaining how to perform a large variety of gymnastic skills via simple language, eye catching photography and bite size video tutorials. 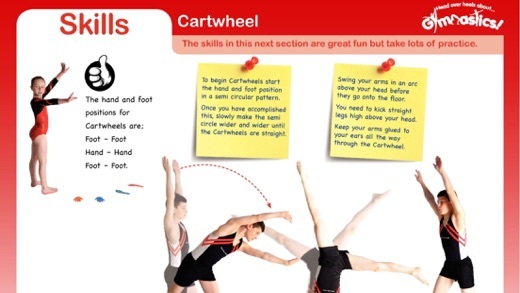 This app is a must-have for budding gymnasts of all ages and abilities, covering many different elements of the sport from balance to strength, flexibility, co-ordination, speed and control in addition to promoting positive body awareness. In addition to the step by step instructions and top tips there are bite size video tutorials accompanying each gymnastic skill. 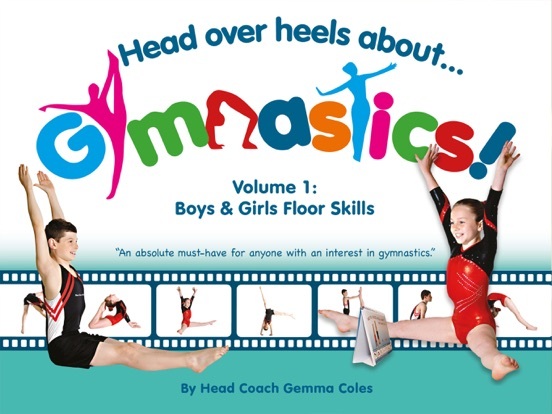 These high quality clips provide the gymnasts with footage of how to perform the skills under the expert coaching of Gemma Coles, Head Coach of Head Over Heels Gymnastics. These tutorial clips break down all the skills in detail with the addition of a slow motion feature for more advanced skills. The gymnasts in the clips range in ability and therefore provide achievable gymnastics from the basic learner to advanced gymnasts. This app begins with Floor Skills containing warms-ups and stretches, moving on to cover posture and all basic gymnastics shapes, which are instrumental in performing more complex skills. These skills are then covered in the next sections; Jumps, Skills, Rolls and Leaps. Bringing all of these skills together, the book then demonstrates how combined, these skills can be used to create routines.